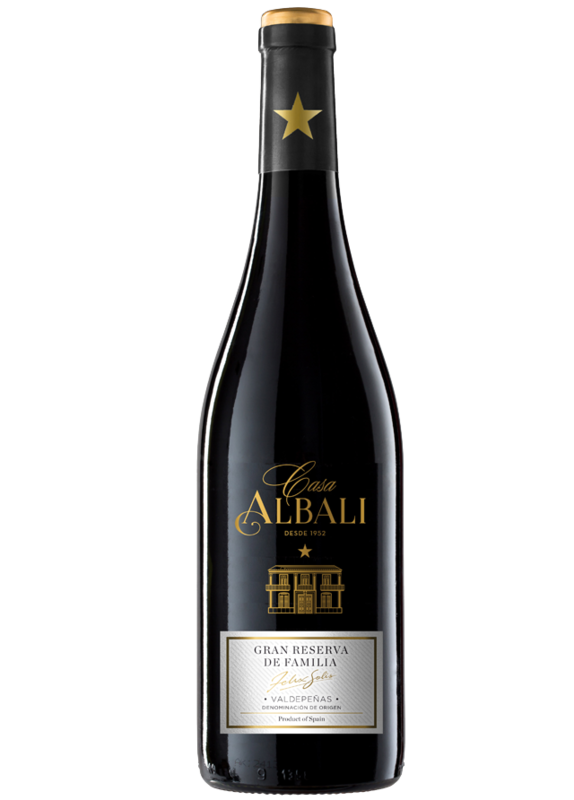 Casa Albali Gran Reserva de Familia is a limited edition wine made from Tempranillo and Cabernet Sauvignon grapes handpicked from the Solís family’s own vineyards. Intense and complex on the nose with warm aromas of ripe fruit, chocolate and spices. A smooth, persistent and ample palate, with rounded tannins. Perfect to combine with grilled steak, in sauce, rice in broth, pâté, cured cheese and Serrano cold cuts. Serve between 18 and 20ºC. Decanting for half an hour before serving would benefit this wine. The whole maceration, fermentation and ageing process is designed to obtain the maximum expression from the two varieties, with noble American oak barrels as their travelling companions.